To book your place, please click here. There are limited spaces so please book early to avoid disappointment. Booking deadline is 31st May 2019. Badminton England also currently have 50% Coaching Bursaries available – please click here to apply. 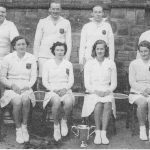 Inter County Champions 1949 – Standing – W E Smith, W A Robinson, J H Kellett (Captain) and A E Powell Seated – Mrs L R Ludlam, Mrs M Brooking, Mrs G F Saunders and Mrs A D Lord. Division 2 Inter County Champions 1949 – Standing – C W Kay, J M Powell, R H Johnson (Manager.). C E Earlam and R Pickin. Seated – Mrs H McDonald, Miss N MacLennan, Miss B Fearne and Mrs M Moscrip. 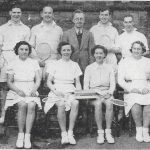 Cheshire County Badminton Association was formed in 1956, when the previously combined counties of Cheshire and Lancashire split to form individual Associations. The CBA continues to support and promote Badminton across the County, working with organisations and groups at all levels. The County runs 3 senior teams, currently in Divisions 1, 2 and 3 of the Senior County Championships.